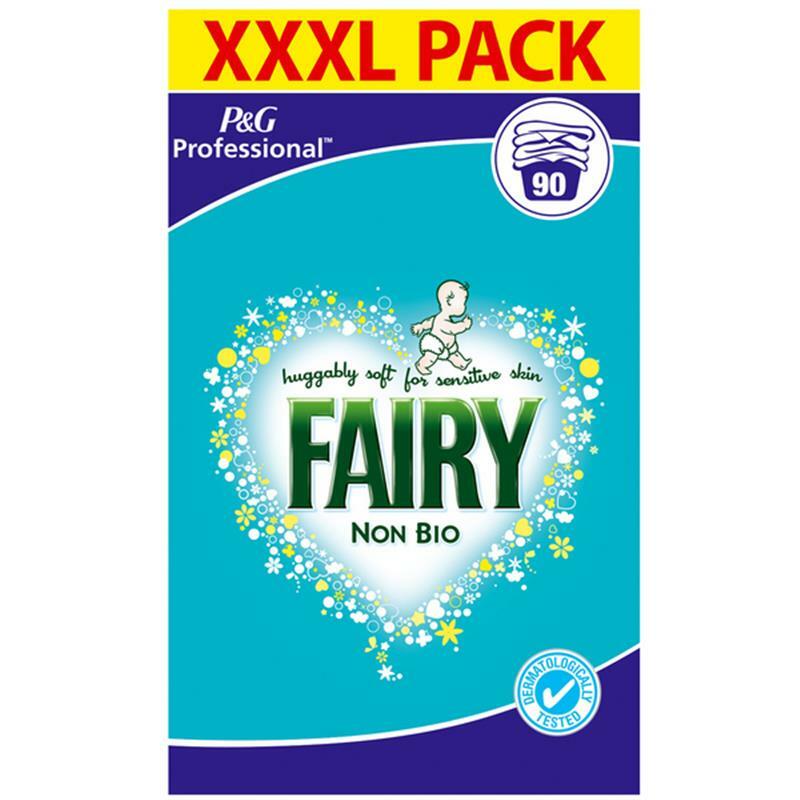 Fairy Non-Bio Laundry Powder - 90 Wash.
Fairy Professional non-bio laundry powder is designed to deliver outstanding cleaning results, leaving your laundry gentle and huggable soft, while being friendly to sensitive skin. It is designed to deliver great cleaning results even without pre-washing or pre-soaking to help you save water and energy. Fairy non-bio comes from the unique combination of high performing ingredients: an advanced surfactant system and polymers which are very effective at removing stains and overall cleaning.